What Does Jaundice Look Like? Jaundice is a yellowing of the skin and the whites of the eyes. 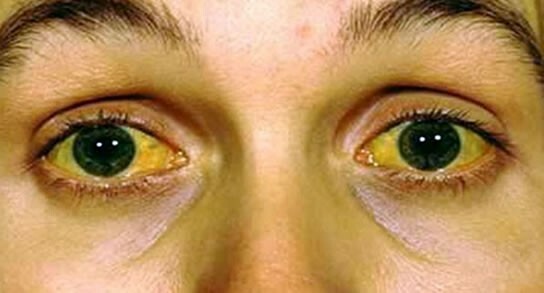 Also known as icterus, jaundice is not a disease itself, but rather a symptom of various illnesses. Jaundice is the result of too much bilirubin in your body – that’s a yellow pigment that appears when dead red blood cells begin to break down in the liver. Though the liver usually filters out the bilirubin and dead blood cells, some problems with the function of your liver, gallbladder, pancreas and red blood cells can lead to jaundice. Read to learn more about the condition. Any of these signs indicate a serious problem, one that should be checked out by the physician. Do you have any flu-like symptoms? Do you have itchy skin, abdominal pain or weight loss? Do your urine and stool have a different color lately? Are you taking drugs, or have you taken them in the past? Are you in a profession where you might be exposed to harmful substances? The doctor will also do a thorough physical examination, looking for numerous other issues such as swollen ankles or a swollen liver. These might indicate cirrhosis or hepatitis respectively. The first question to answer is what does jaundice look like. Second, answer the question of what tests you need to take. After the examination is over, the doctor will likely run a few common tests. The first is a urine test, which will pinpoint the amount of urobilinogen; this builds up as bilirubin breaks down. The second is a blood test which will look for the enzymes and proteins in the blood. This can help determine what is happening to your liver and whether there is malaria or hepatitis C. Other potential tests include imaging, such as an ultrasound, MRI or CT scan, as well as a liver biopsy, which will offer a definitive look at what is happening. A sample of blood can be taken from the baby’s heel in order to test bilirubin levels. 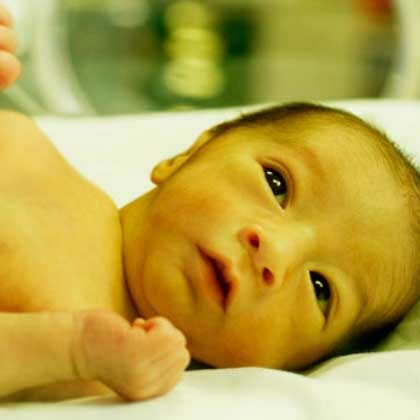 The physical exam of your baby will show signs of jaundice if there are any to find. The skin test is performed with a small device that sits on the baby’s head and checks the bilirubin level. It works with a special light that shines through the skin. This doesn’t hurt your baby at all. Jaundice tends to emerge between three and five days of life when the bilirubin level is highest. If your baby leaves the hospital in the first three days, be sure to check the bilirubin level within the next two days in an appointment. The treatment of jaundice depends upon its causes. If the problem is acute viral hepatitis, jaundice will disappear as the liver condition gradually improves. Itching often disappears as well. If it doesn’t, cholestyramine might help, but only if no bile ducts are completely blocked. If bile ducts are blocked, they can be opened through a procedure that uses instruments threaded through an endoscope. In the end, jaundice does not require treatment in adults; however, the underlying causes should be closely watched or treated. What does jaundice look like? Being able to spot it early is the best way to ensure proper treatment. Though most babies do not need treatment for mild jaundice, they should be encouraged to feed more often so they have more bowel movements; this will help clean the bilirubin from the system. But patience is required – the jaundice among fed-formula babies will likely clear up within two weeks, while among breast-fed babies, it usually clears up within three weeks. More severe cases of jaundice require treatment such as phototherapy treatment, exchange transfusion and intravenous immunoglobulin.